CarGurus has 2,113 nationwide GLK-Class listings starting at $6,500. Need a compact luxury crossover for the commute or those trips to the mall? Take a look at the 2015 Mercedes-Benz GLK-Class. Although this pint-size ute currently packs 5 folks in admittedly tight quarters and sports only 54.7 cubic feet of cargo area, all that could change for the 2016 model year, as the folks at M-B want to lengthen and widen the GLK-Class a bit in opening a dedicated niche for its new GLA-Class crossover. In fact, there are hints that the next-gen GLK-Class could be offered in legendarily sporty AMG garb, too. But that’s then, and this is now. For the present, no significant changes accompany this posh people-hauler into the upcoming year, thus you can rest assured that it retains the affordability, the solid build, the luxury touches, the heady powerplants and the sedan-like driving qualities that have made it popular with polo-disdaining small families. Again this downsized ute is expected to be available in 2 trims, the normally aspirated, rear-wheel-drive (RWD) GLK350 and the twin-tubodiesel-packing GLK250 BlueTEC, which again totes standard all-wheel drive (AWD), thus earning the further 4Matic sobriquet. 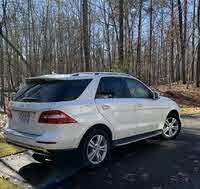 Said 4Matic distinction is, of course, also slated to remain available to the GLK350 as an option. And as is traditional these days, said full-time AWD configuration adds to maneuverability on dry roads even as it stands by to automatically and instantaneously transfer torque from the wheels that slip to the wheels that grip when things get slippery. Look for the 2015 GLK250 BlueTEC to return with the pokey but fuel miserly 2.1-liter twin-turbocharged diesel inline 4-cylinder (I4) powerplant mating with the standard 7-speed shiftable automatic transmission for 200 hp and a hefty 369 lb-ft of torque. It isn’t particularly speedy, but this turbo 4 boasts fuel numbers of 24 mpg city/33 highway and a towing capacity, when properly equipped, of 3,500 pounds, which might help alleviate the pain of arriving a few seconds (or minutes) later than, for instance, your GLK350-owning friends. Said friends have a non-turbo, gasoline-burning 3.5-liter V6 engine under the GLK350’s hood that also combines with the 7-speed shiftable automatic. Expect 302 hp and 273 lb-ft of torque from this gas-burner, with mileage once again estimated at 19/25 in RWD versions and 18/25 in the available AWD-equipped 4Matic iterations. Towing, meantime, is again maxed out at 3,500 pounds with the proper equipment. Oh, and the ubiquitous shiftable 7-speed automatic transmission comes with standard steering-wheel-mounted paddle shifters in all GLK-Class variations. Look, meanwhile, for the return of such standard features as 19-inch alloy wheels, roof rails, heated power-adjustable outside mirrors and LED running lights, complemented by leatherette upholstery, power-adjustable front seats and full power accessories in both GLK variants. Additional features in both trims include cruise control and telescoping tilt-wheel steering, along with Bluetooth-interfaced mbrace destination download and dual-zone auto climate control. Entertainment in either 2015 GLK-Class edition is again expected to include a standard 100-watt stereo with a single-CD player, 6 speakers, COMAND interface with 5.8-inch display and, naturally, auxiliary audio input via a number of USB ports. Note that there are a few items missing that come standard in most rival high-end crossover utes, and there lies the rub. 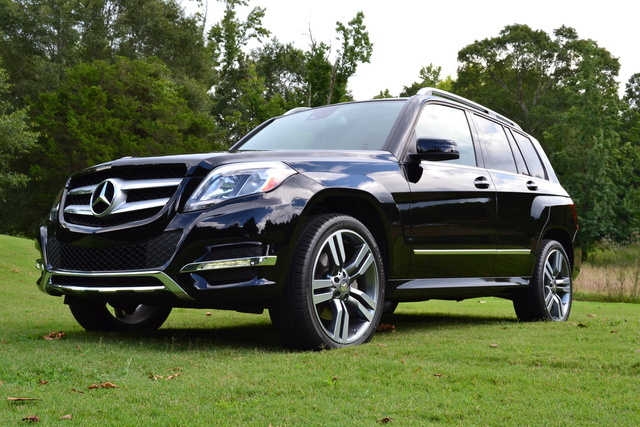 The GLK-Class is touted as an affordable Mercedes in its basic form. But start adding some of the nearly endless options choices, and suddenly you’re talking some serious bread. Said selections include the Premium 1 Package, the Leather Package, the Lighting and Ambient Lighting packages, the Multimedia Package, the Appearance Package, the Lane Tracking Package and the Sport Package. Depending on the package chosen, look for add-ons like a panoramic sunroof, satellite radio, a power liftgate, satellite radio and an auto-dimming rear-view mirror, as well as leather upholstery, memory for driver's settings and a remote garage door opener. Enhanced lighting, a 7-inch multimedia display, a rear-view camera and GPS navigation are also available in package form, as are available safety features like lane-keeping assistance and blind-spot monitoring. Standalone options, meantime, include step running boards, heated front seats, a heated steering wheel, rear-seat DVD entertainment and a Harman Kardon premium audio system. Oh, and M-B’s optional Active Parking Assist technology makes short work of difficult parallel-parking duties as sensors assess parking spots and take over steering chores while the driver handles the brake and shifting assignments. Finally, standard safety features aboard all GLK-Class variants include 4-wheel antilock brakes (ABS), traction and stability control, front and rear head airbags, front head restraint whiplash protection and front side-mounted airbags. LED daytime running lights also come standard aboard both iterations, as do front fog/driving lights, turn-signal-integrated mirrors, mbrace emergency communications and stolen vehicle recovery assistance, and a remote antitheft alarm. What's your take on the 2015 Mercedes-Benz GLK-Class? Users ranked 2015 Mercedes-Benz GLK-Class against other cars which they drove/owned. Each ranking was based on 9 categories. Here is the summary of top rankings. 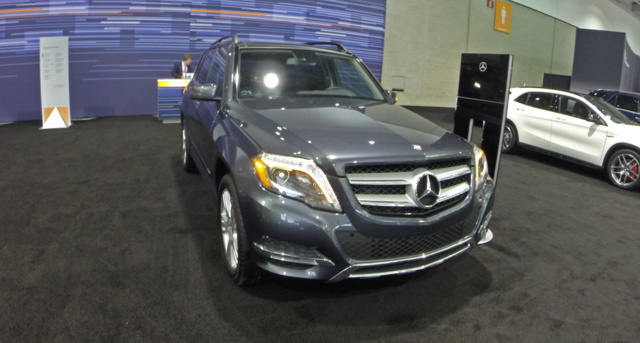 Have you driven a 2015 Mercedes-Benz GLK-Class? What does "Auxiliary Battery Malfunction" light mean? Is There A Way To Lock The Car From The Outside Once It Is Turned On?